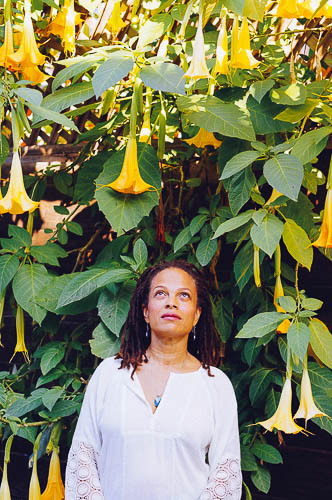 Kimberly Durdin is a Los Angeles based Lactation consultant (IBCLC), Student Midwife, Childbirth Educator and Doula. As a mother of six, Grandmother of three, Kimberly credits her children as her greatest teachers. Over the last 26 years, Kimberly has interwoven her life with the lives of thousands of families throughout New York City, Washington DC Metro Area & Los Angeles. Be it through her work of providing lactation care, postpartum support, groups, counseling, childbirth education, labor support or through her work mentoring current and future birthworkers, her dedication has allowed her to fully enjoy the fruits of her labor in the faces of the communities served. Kimberly was named one of the Top Lactation Consultants in the area by Washington Families Magazine in 2003. In 2015 she was awarded Best Lactation Professional of 2015 by Doulas of Southern California and in 2016 given the Student Future Leader Dr Paul Fleiss Award from The Association for Wholistic Maternal Newborn Health & Human Rights in Childbirth. In March 2018, Kimberly and business partner Allegra Hill, LM, CPM, IBCLC opened Kindred Space LA, a birth, lactation and education space. Kindred Space LA is also home to the Birthing People Foundation, a non-profit they co-founded to train more birth workers of color.